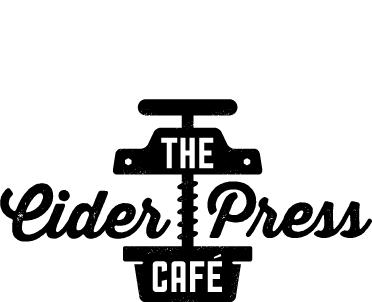 The Cider Press Cafe | NATIONAL BURGER CONTEST – LOCAL VEGAN IN THE RUNNING! 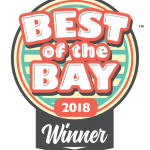 22 May NATIONAL BURGER CONTEST – LOCAL VEGAN IN THE RUNNING! 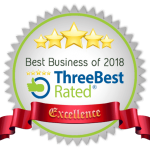 Cider Press Cafe placed in top 12 Nationwide in 2017. Can they beat that in 2018 with the Kale-lemon Me Softly Burger?! KALE-lemon ME SOFTLY BURGER | “Beyond Meat” patty blended with portobello mushrooms, onions, and garlic, topped with charred kale, herbed provolone, red onion, tangy lemon aioli, smoked sea salt, served on a Kaiser roll. 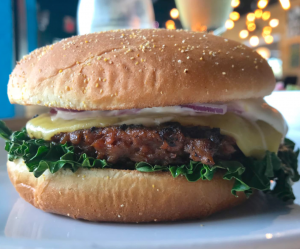 [ST. PETERSBURG, FL] Local vegan restaurant, The Cider Press Café dares once again to enter a burger contest to prove that a vegan burger can hold it’s own against a beef burger. Chefs from around the country join a movement that strives to make burgers healthier and more sustainable by blending ground meat with mushrooms. A cookbook author and teacher with an encyclopedic knowledge about food, the late James Beardwas a champion of American cuisine. He helped inspire generations of professional chefs and food enthusiasts by instilling in them the value of wholesome, healthful, and delicious food. Today The James Beard Foundation continues in the same spirit by administering a number of diverse programs that include educational initiatives, food industry awards, scholarships for culinary students, publications, chef advocacy training, and thought-leader convening. The Foundation also maintains the historic James Beard House in New York City’s Greenwich Village as a “performance space” for visiting chefs. The Right Thing to Do. The Right Way to Make a Difference.